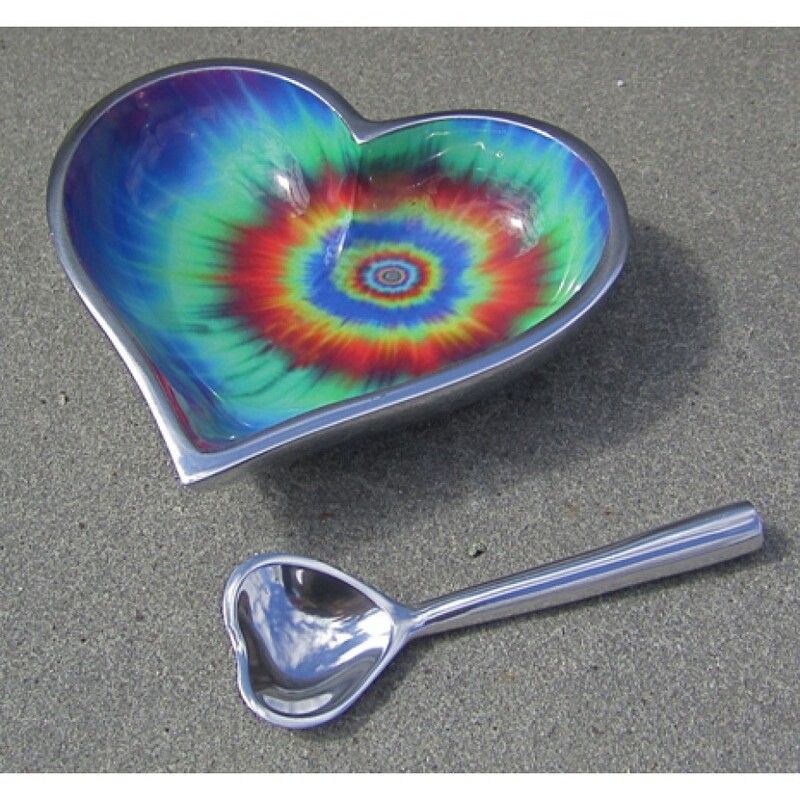 Great little candy or jam dish! 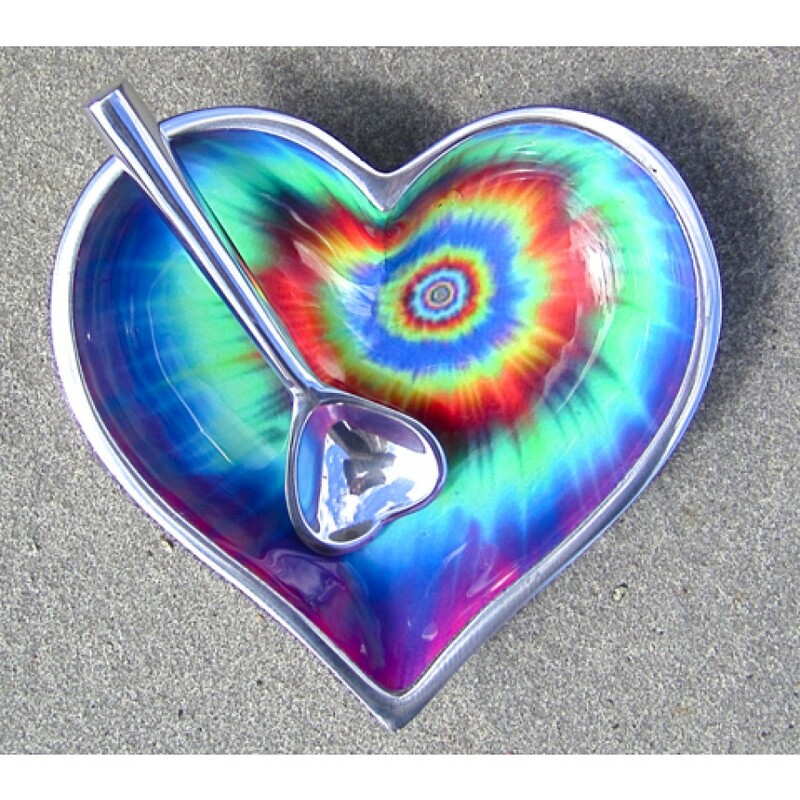 Groovy Heart Dish by Inspired Generations. Handmade with 100% food safe polished aluminum. A portion of the profits are donated back to organizations supporting world peace by the manufacturer. Handwash only.